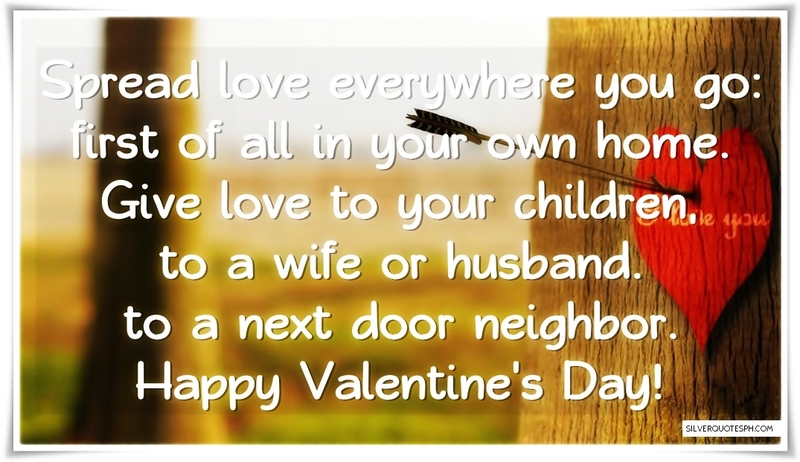 Spread love everywhere you go: first of all in your own home. Give love to your children, to a wife or husband. to a next door neighbor. Happy Valentine’s Day!